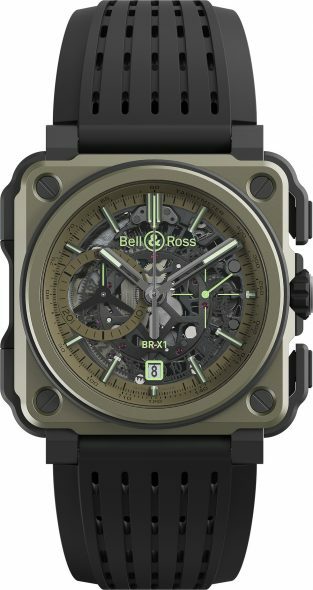 Bell & Ross latest chronograph, BR-X1 Military, comes with a matte khaki titanium case and an ultra-luminous green display. The watch is powered by the Swiss automatic Bell & Ross caliber BR-313 with 56 jewels, 28,800 vph and a power reserve of 42 hours. The X-shaped upper bridge is produced in black DLC. Functions are: hours, minutes, small seconds at 3 o’clock. Skeletonized date at 6 o’clock. Chronograph: 30-min timer at 9 o’clock, central chronograph seconds. 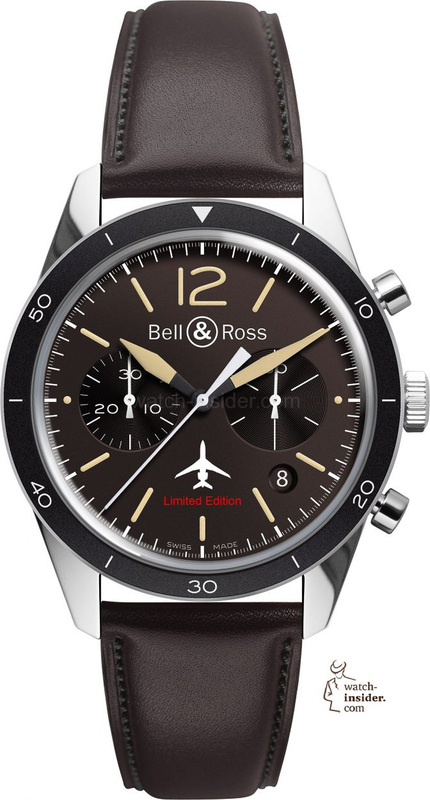 Bell & Ross uses titanium for the case. 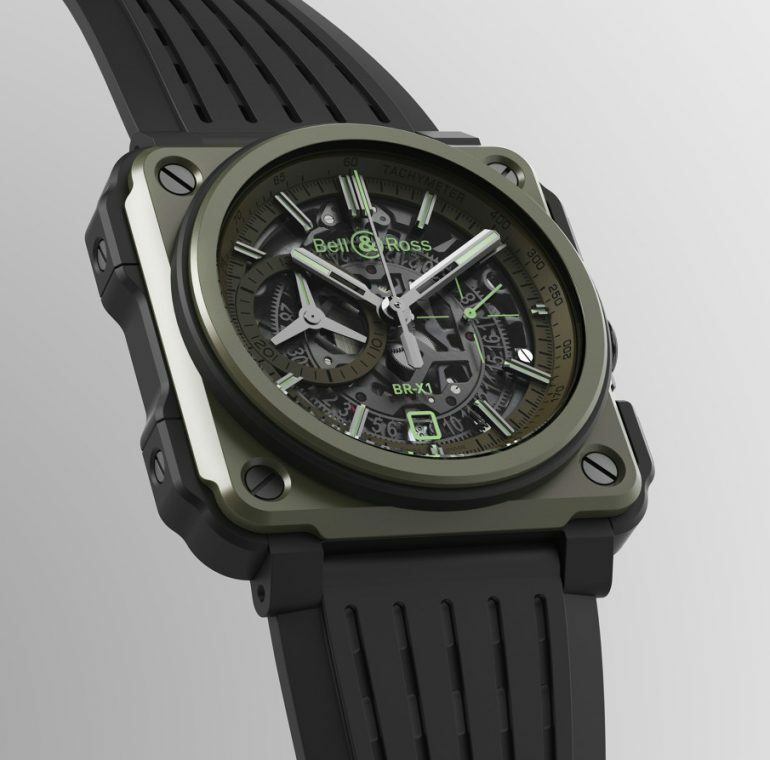 The model is also equipped with a new perforated rubber strap for enhanced comfort. 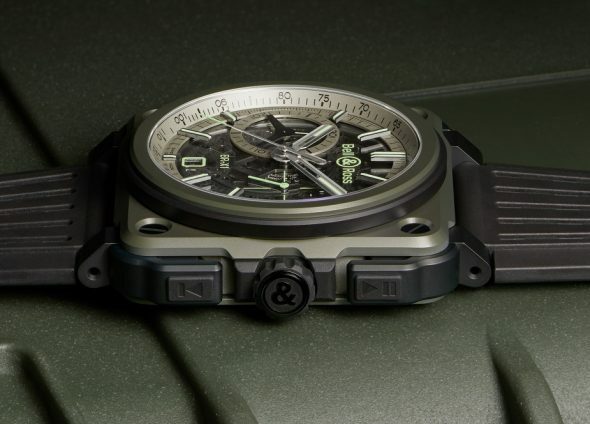 Lightweight, hard-wearing, ergonomic and ultra-modern, the BR-X1 Military, available in a limited edition of 250 pieces. List price is $23,000. 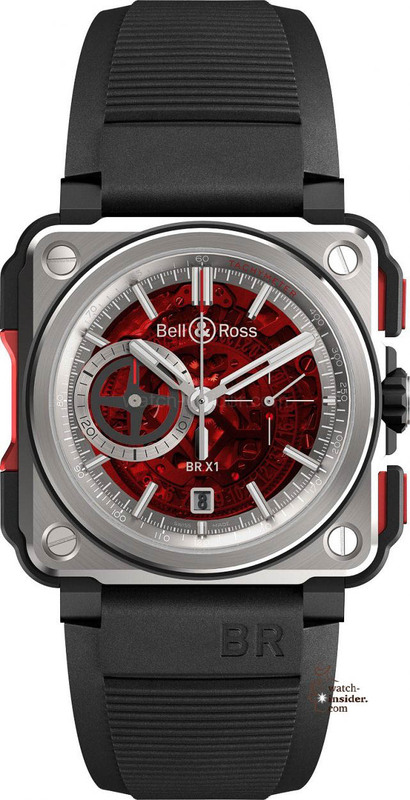 Bell & Ross BR-X1-Skeleton Chronograph-Red Edition, a limited edition of 50 pieces.